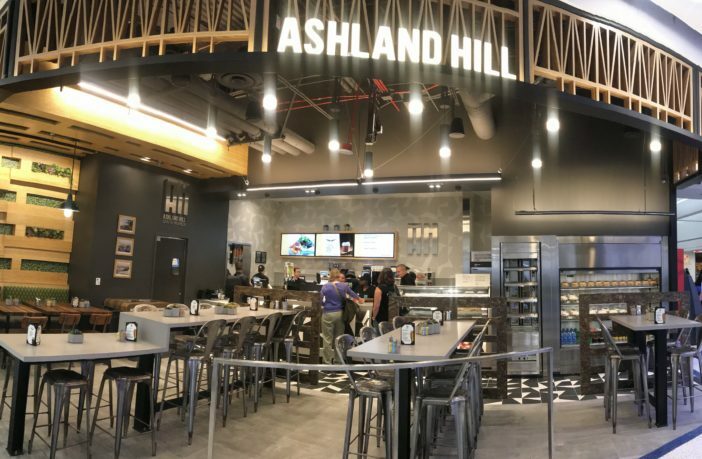 Food and beverage (F&B) operator Areas has partnered with Los Angeles World Airports (LAWA) to open a new Ashland Hill restaurant in Terminal 7 (T7) at Los Angeles International Airport (LAX), California. Ashland Hill focuses on rustic, yet modern dishes, with a menu that draws from Midwest and West Coast influences. The offering also boasts an extensive selection of local brews, a notable wine list, and a full bar for cocktails. The 1,000ft2 (92m2)space will be open from 4:00am to midnight and will feature hot breakfast dishes in the mornings, and light fare for the rest of the day, including soups and sandwiches. Unique to this location, the grab and go cases will be stocked with salads and other Ashland Hill menu items such as fish and chips during peak times. Ashland Hill is the third concept Areas has opened in T7. It also operates Dunkin’ Donuts and BGrill by BOA Steakhouse.